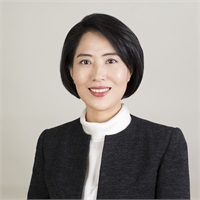 Sun Young Jeon made the decision to build a career in the Financial Services Industry after she realized the ample amount of people that she encountered who were misinformed, mislead, and eventually devastated by inadequate financial strategies. After identifying that issue, Sun Young decided to focus on aiding the Korean-American community in implementing effective financial strategies to help prepare them for success in a secure future. It is Sun Young’s mission to work with clients to change their skepticism towards insurance and help them find bespoke tailored strategies for their families and businesses. Through her passion for helping others, her diligence, and her attentiveness, she has become a great resource for her clients to build confidence and work towards financial security. Sun Young lived with her family in Seoul, South Korea and London before moving to the US. She is a member of Pilgrim Mission Church and enjoys traveling with her husband and two children.